The most common way for the State to prove a DWI charge in New Jersey is by using a breath test to show intoxication over the legal limit of .08% Blood Alcohol Content (BAC). The machine utilized in the State of NJ to prosecute these drunk driving matters is known as the Alcotest 7110 which the police officers must be properly certified to operate. Our managing partner, Mr. Travis J. Tormey is also certified to operate this breath testing device, just like the police officers who arrested you. Travis J. Tormey is an experienced criminal defense and drunk driving (DWI) attorney who has been representing clients throughout New Jersey for years charged with drunk driving offenses including refusal to submit to a breath test, DWI in a school zone, and leaving the scene of an accident throughout Morris County. Mr. Tormey is one of a few New Jersey attorneys who is a certified Alcotest 7110 operator, the breath-testing device used throughout the state to prosecute drunk driving cases. As a result, Mr. Tormey knows the components of the machine, how it works, and if there are any issues with the functioning of the breath testing device. 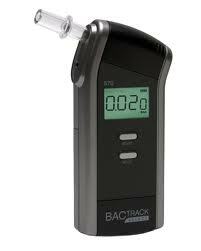 This knowledge and expertise can be used to attack the reliability of the DWI breath test results in your case. In addition, Christopher Perry, another attorney at the firm, is a certified field sobriety test instructor. This means that he can examine the psycho-physical tests in your case and determine if they were conducted properly by law enforcement. If you or a loved one is facing DWI charges in Morristown, Parsippany, Denville, Mount Olive, or elsewhere in Morris County or New Jersey, contact our Morristown offices anytime for a free initial consultation at (908) 336-5008. In the vast majority of DWI prosecutions in New Jersey, the state uses a breath-test result to prove the defendant’s level of intoxication. The legal limit in New Jersey is .08% Blood Alcohol Content (BAC). If your BAC is over .08% and the state’s breath test result is deemed admissible in court, this is a per se violation of the DWI statute in New Jersey. As a result, the admissibility of the breath-test reading is crucial in determining whether the State can prove a drunk driving case beyond a reasonable doubt. Further, portable breath testing (known as “PBT”) is only utilized as probable cause for the arrest for DWI and the readings are not admissible in court. Moreover, if your reading is over .10% BAC and over .15% BAC you are facing additional penalties including license suspension and an ignition interlock requirement (blowing device) to be installed on your vehicle. In New Jersey, the state uses the Alcotest 7110 breath-testing device to prosecute DWI cases which is manufactured by Draeger Safety. Travis J. Tormey attended a seminar in 2011 to obtain his Alcotest 7110 certification. The seminar was given to only about 20 lawyers in New Jersey and was conducted by the vice president of Draeger Safety. Mr. Tormey is now trained on the Alcotest 7110 MKIII-C Version NJ3.11’s analytical system, components, and peripherals, as well as how to operate the instrument and perform a New Jersey specific breath test sequence. As such, Mr. Tormey is licensed to operate the breath testing device used in all New Jersey DWI cases and can utilize this expertise to determine the admissibility of the breath-test result in your case. Note: The Tormey Law Firm also utilizes the services of a DWI expert, a retired New Jersey state trooper who is also a certified Alcotest operator. Additionally, he is certified in field sobriety testing, the tests used at the scene by law enforcement officers to determine if probable cause exists to arrest a driver for DWI. Our expert is available to render an expert report challenging the State’s case and, if necessary, to testify at trial in court as a defense expert. Our experienced Morris County DWI defense lawyers are available immediately to assist you with your DUI case in Rockaway, Roxbury, Madison, Randolph, Dover, or elsewhere in New Jersey. Contact our Morristown offices anytime for a free initial consultation at (908) 336-5008. We are happy to talk to you about your case and discuss potential defense strategies.